Nine major financial firms, including Morgan Stanley, Bank of America, and Fidelity Investments, are launching a new stock exchange — the Members Exchange, aka MEMX. Details: MEMX expects to file an application with the Securities and Exchange Commission this year with plans to reduce costs and streamline the trading process, though it’ll probably be awhile before it’s up and running. 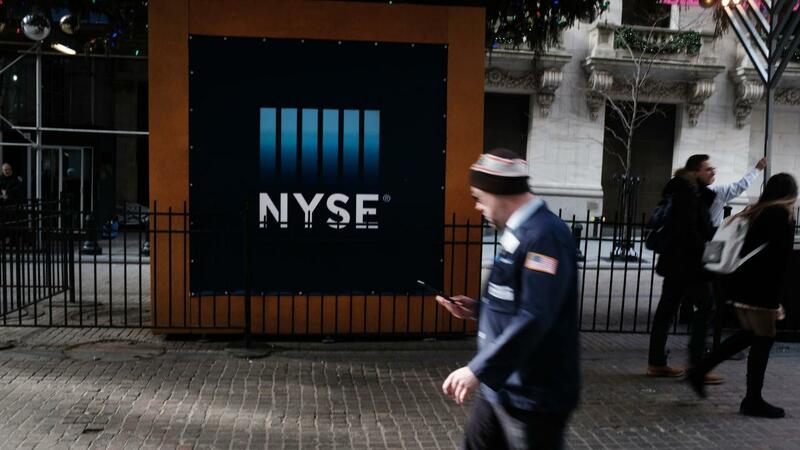 Shares of NYSE's parent Intercontinental Exchange and the Nasdaq fell 2% after news of the newcomer broke. Be smart: It's notable that MEMX is backed by Citadel Securities and Virtu Financial — the country's biggest stock traders, which each facilitate 20% of U.S. equity volume, per WSJ — in addition to the big financial firms. Despite being run by some big players, a new exchange doesn't guarantee they'll pull liquidity from the NYSE or Nasdaq. Most traders don't pick and choose which exchange to participate in. They use all or many of the exchanges. Nasdaq's statement to CNBC: "We welcome competition to our transparent, highly regulated equity markets. However, with more than 40 equity trading venues already in operation in the United States, we are keen to learn more about the value proposition of a new exchange." The bottom line: MEMX hasn't announced how much lower its fees will be, and there's no guarantee the platform will take market share from those that right now control 60% of trading volume.